A safe, fast-change glove port solution with multiple accessories to expand operational capabilities. CRL Push-Through Glove Ports are used in isolators or gloveboxes where applications require operators to work with potent or hazardous materials. The CRL Push-Through Glove System allows for the interchangeability between gloves, viewing windows, bag-outs, and plugs without losing enclosure containment or risking the spread of contamination. 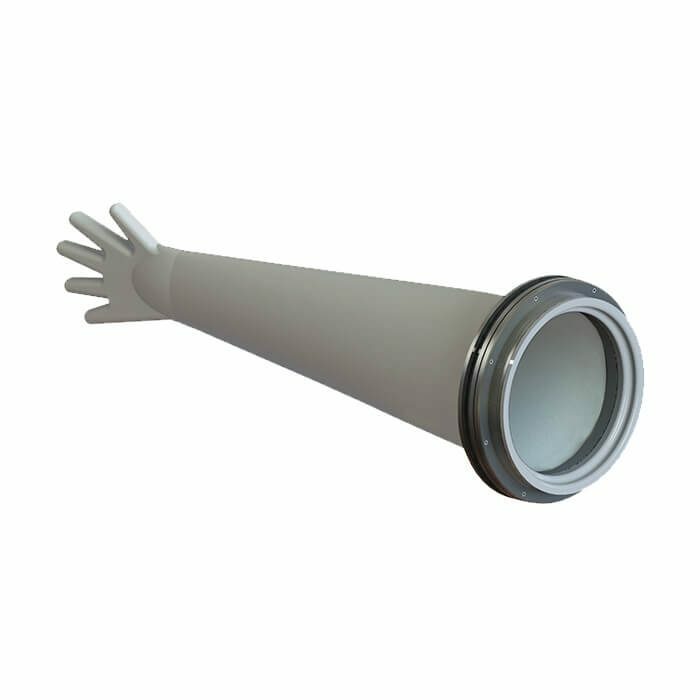 The two main components of the system are the glove ring, which mounts to the wall and the support ring or accessory that creates a compression seal inside the enclosure ring. CRL Push-Through Glove Port systems can be mounted in a wide variety of materials including lexan, glass, and metal panels.